The group of researchers has recently analyzed top five most popular mobile dating applications (namely Match.com, Plenty of Fish, eHarmony, Zoosk and ChristianMingle.com) in order to know about the possible security flaws when storing personal data of their users. Each dating app was also rated applying an industry standard that was defined by the OWASP Mobile Security Project. The results turned out to be a sort of a wakener. The giant of online dating Match.com somehow managed to score the lowest level of security while ChristianMingle.com appeared to be the most secured online dating service. Why was Match.com rated as the worst in terms of security? Without going into unnecessary technical details, Match.com suffers insecure data storage, which means that both a user’s profile and his activity are stored locally without encryption. A simple access to the unlocked phone will let almost anyone to use this information. Christian Mingles application surprisingly had almost no major security drawbacks. But this is partly because it is more a mobile dating website than an Android dating app and so the user data isn’t stored on the user’s phone. The dating app of eHarmony doesn’t even try to hide users’ information as the username and password, for instance, can be easily found in clear text on the user’s cellphone. However, the company has been reported to add some extra levels of protection since the time of research. 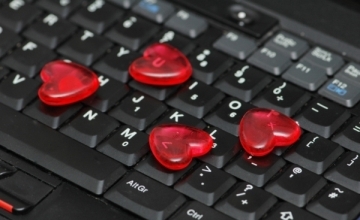 Plenty of Fish, Zoosk and Match.com take measures to encrypt their users’ passwords. However, this data is still saved on the phone. It seems that a convenient counterbalance for security purposes can be formulated in one phrase: if you want to keep the personal data of your users protected and secured, the user must login to access the application and stay logged in. However, the analyzed sites are all dating business rivals, therefore usability comes in the first place and remains to be quite an important issue. The prompt to log in from the very start creates the feeling that the application is secure and everything works perfectly. But how is it possible to make it more comfortable for all users? Needless to say that the results received within the study, were then sent to each of the analyzed dating sites, and actually two out of five sites (eHarmony and Match.com) responded to the e-mail with the research results.